In the grip of the worst drought in a century, the farming community of Kiewarra is facing life and death choices daily when three members of a local family are found brutally slain. Federal Police investigator Aaron Falk reluctantly returns to his hometown for the funeral of his childhood friend, loath to face the townsfolk who turned their backs on him twenty years earlier. But as questions mount, Falk is forced to probe deeper into the deaths of the Hadler family. Because Falk and Luke Hadler shared a secret. A secret Falk thought was long buried. A secret Luke’s death now threatens to bring to the surface in this small Australian town, as old wounds bleed into new ones. With the backdrop of a rural Australian town in Victoria, Harper’s narrative shows the complexities of small town relationships and the pressures that the landscape and the weather can have on the people who suffer it. It also explores the dangers of secrets and the consequences when these secrets become known. I listened to this as an audio and Shanahan does a great job as narrator. His pace is ideal, his tone suits the character well and creates an image of Falk in your mind that Harper has tried to express through her words. 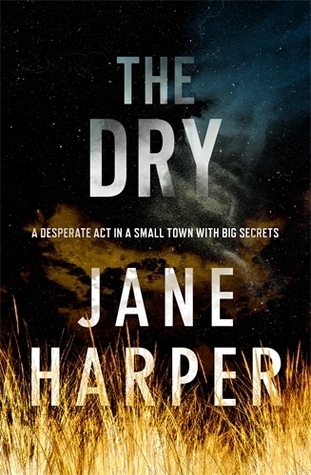 I was drawn into this story and with all of Harper’s surprises it never feels like a constant chop and change, but instead like a natural progression of the investigation, the drought, the built up tension of a small rural town. One thing I have found in many small town stories is how easily and comfortably they vilify anyone who they feel have wronged them, justified or otherwise. The town of Kiewarra having no shame in hiding their displeasure at Falk’s return. Harper conveys the animosities the town feel towards Falk remarkably well. You feel that small town suffocation, the hatred of outsiders, and having the past dredge up feelings and complications. Harper uses flashbacks and conflicting opinions to show all sides of the characters which in turn affects your own opinion on the events. I really enjoyed the mystery in this story and I loved how you genuinely are never entirely sure what has happened as all the possibilities sound each as likely as the others. For a debut this is a captivating read and Harper shows some impressive skills in teasing information, providing red herrings and casting doubt in the reader’s mind despite all the evidence to the contrary. I was intrigued by the narrative and while the pace is slow, the story itself keeps you engaged. This isn’t a fast paced thriller to keep you on the edge of your seat but it plays with your expectations and provides twists and surprises tactfully throughout. Falk was a solid character and one that you could easily see was genuine. He had his own issues with the town but he was there doing a job and no matter what the town said or did to him he was going to stick it out. He could see their own small mindedness and while he had his own opinions about what they did to his family, he wasn’t going to let that stop him from finding justice and doing the right thing. Friendship and a deep down sense of guilt makes him try to help and I liked that Harper made his occupation close enough that it his enquiries weren’t entirely out of the blue, but it was far enough that he was very much there unofficially. For that, this different style of police procedural novel was interesting and by the end I felt Harper respected the story and the reader in the conclusion she gave us. Falk is also a character I am interested in reading more of because while he isn’t perfect, he isn’t the stereotype that is known to be thrown around which in itself makes this a refreshing read. A girl with a past. Four lives collide when one of the world’s most famous paintings is stolen. It’s a mystery that has the nation talking, but while Picasso’s Weeping Woman might be absent from the walls of the National Gallery, in other parts of Melbourne the controversial painting’s presence is being felt by Guy, Rafi, Luke and Penny for four very different reasons. 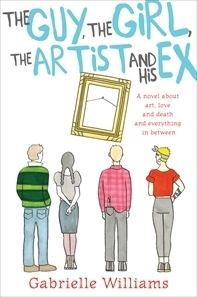 Life, love, art and one giant party intersect in this offbeat comedy about good intentions, unexpected consequences and the irresistible force of true love. I was pleasantly surprised by how much I liked this story. It was a great story already and Williams tells it in a way that engages you and intrigues you, especially with so many characters and their agendas to work around. It was a different story than the kind I had been reading and it definitely stood out. Set in the 80s and based on true events, there is a great history woven into this narrative. It brings the story and characters to life as Williams puts us inside her character’s minds. I’m not sure whether it was because I knew this was based off true events, or whether Williams created such unique and fleshed out characters, but each of them felt real. We’re inside their heads, we see so many different points of view we get to know them all individually, not through the eyes of one character. I could picture them so easily, I was there with them, I understood their motives and I loved it. Different voices also contribute to the different points of view, Williams making them each stand out and distinctive. I could not put this down once I had started, I was engaged and invested in these characters and even though it was history it felt like it could have been fictional. One thing I found clever was how Williams has overlapped events, the same moment through the eyes of different characters. It adds another layer of style and creativity, plus form a storytelling aspect gives you another point of view to the same moment. The fact that you don’t know what is happening is good, and the fact you are trying to piece it all together is great, especially as you are unaware if there even is anything to understand. The theft takes place in the 80s, but Williams has thankfully not shoved the 80s into our faces. Enough to set a place and a time but not overloaded so nostalgia and a need to remind people of the era takes away from the story. I was impressed by the ending and I think Williams has wrapped up this story allowing the real events to play out, but also round out each of the characters we have come to know. 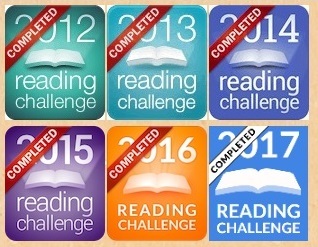 As I was tallying up my reads/reviews I realised I am one review short of meeting the goal! I am so annoyed with myself, I should have paid more attention, I could have written a quick review if I noticed earlier, I could have won! But alas, twas not meant to be. I will try again for 2018. I would have loved to have read more Aussie women, I read less than I did last year which is also annoying. I read 142 books this year so surely I could muster up more than 25 but apparently not. Shame on me. Again, goal for next year. It was productive nevertheless, I finally got around to starting some books I’d had on my TBR list for a while, I also finally started reading Liane Moriarty and I’m working my way through her back catalogue, I’m also actively reading more books on my own bookshelves that are crying out to be read. What happens when you mix teenage boys, a fight club, and ethnic rivalries? Romeo Makhlouf knows the rules. Stick with your own kind. Don’t dob on your mates or even on your enemies. Respect the family. But even unwritten rules are made for breaking. 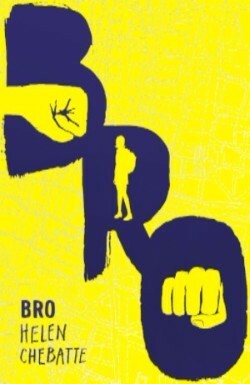 I wasn’t sure I was going to like Bro but Chebatte definitely surprised me. It isn’t a long book but it one that is important as it talks about trying to fit in when people class you as different on both sides, and the pressure of being loyal to your family roots, all with a delightfully Australian feel. Chebatte uses the male point of view quite well, demonstrating the conflicts between the races at school, girl trouble, and trying to find where you belong, something which reminded me of Ayoub’s Hate is Such a Strong Word for the female perspective. I liked Romeo as a narrator, I also liked that Chebatte balanced him but not too evenly. He has some sensibilities but he is still a young boy with wild ideas and a feeling of invincibility. You clearly understand his conflict about who he is and whether he is Lebanese or Australian, and how even though he was born here he still doesn’t feel like he belongs. This conflict drives his decisions and affects the decisions he makes, right or wrong they may be. There are many aspects I recall from my own high school days in here, just the scenes Chebatte has set up about classes, canteen lines, and group dynamics, even though my experience wasn’t the same as Romeo’s school in a lot of ways, it still feels familiar. The plot can be criticised as childish and absurd, but in the way that most teenage conflicts are, they are petty and ridiculous and fought for nothing, and yet at the time, it’s the fight you are willing to stand for no matter the consequences. I was apprehensive about this book, I genuinely thought I wouldn’t like it but I’m glad I read it. It tells the story of the danger of boys and their masculinity, peer pressure, “national pride”, racism, and trying to belong. It’s a book people should read about feeling different, and the consequences of male pride. First of all, let’s all rejoice, I have read a Moriarty book I didn’t dislike! It was interesting, it had characters I liked and who were interesting, and there was a good plot that had purpose and flow. After a few unenjoyable books by Moriarty I was worried going into this but it surprised me. The classic “I’m not going to tell you what I’ve been hinting at for most of the book until almost the end” Moriarty approach is there which surprisingly worked very well in this story. In the past, it’s been a frustratingly drawn out longer than need be experience, but this time it works ideally. With the numerous perspectives to cover it spreads the novel out and covers multiple angles and adds depth to the story and more complexities. With so many characters Moriarty circles around the unspoken event, also known as “the worst day” and just as you get closer she spirals out again. It seamless and I loved that we inch our way closer and closer and then are flung straight back out again into someone else’s point of view and backwards or forwards through time. The characters are full and brought their lives to the page, Moriarty showing us exactly who they are with a few words or actions that encapsulates them perfectly and Lee adds another level with her excellent voices and narrating ability. Each character felt real to some degree and had their own depth and unique quality. Moriarty made even the briefest characters have something that made them stand out. I enjoyed Oliver’s kind but abrupt nature, and while I disliked Erika’s character, I liked that she was different and could annoy me, which is a weird experience. On the other hand, I can’t tell if I feel sorry for Harry or not. In a way I think we are meant to feel sorry for him, but at the same time not. I liked that Moriarty made me have such conflicting feelings about so many of her characters. 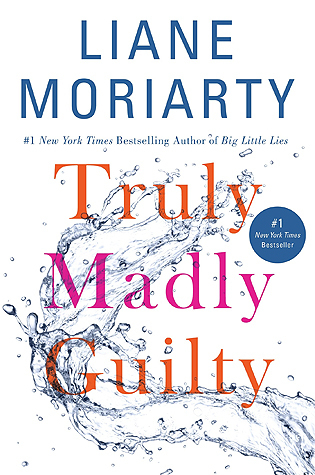 When the surprise does come it’s after much speculation on the reader’s part and Moriarty doesn’t disappoint. The slow reveal is wonderful and linked to so many characters that it adds more questions and sparks a whole other set of problems and dramas. The ending I think was perfect, it was the best ending for the characters and I am glad Moriarty didn’t try to make it any other way which she easily could have. There are surprises and wonderful moments, it’s not without its problems but it was an enjoyable book that was complicated and messy and revealed how one single event can affect everyone differently and can change everything.